Product Description: Sulfate and sodium-chloride free. Adds luster, shine, and moisture, with natural and organic ingredients. Lightly scented with fresh verbena. Adds moisture and shine. Ingredients: Water/Aqua/Eau, Cetearyl Alcohol, Cetrimonium Chloride, Dimethicone, Panthenol, Isopropyl Palmitate, Honey/Mel/Miel, Aloe Barbadensis Leaf Juice, Agave Americana Leaf Extract, Anthemis Nobilis Flower Extract, Calendula Officinalis Flower Oil, Persea Gratissima (Avocado) Oil, Moringa Pterygosperma Seed Oil, Aleurites Moluccana Seed Oil, Macadamia Ternifolia Seed Oil, Simmondsia Chinensis (Jojoba) Seed Oil, Simmondsia Chinensis (Jojoba) Seed Extract, Amodimethicone, Garcinia Indica Seed Butter, Cocos Nucifera (Coconut) Oil, Curcurbita Pepo (Pumpkin), Sesamum Indicum (Sesame) Seed Oil, Tocopheryl Acetate, Bixa Orellana Seed Extract, Fragrance/Parfum, Rosmarinus Officinalis (Rosemary) Leaf Extract, Butylene Glycol, Phenoxyethanol, Methylparaben, Ethylparaben, Propylparaben, Butylparaben, Isobutylparaben, Trideceth-12, d-Limonene, Linalool. My Take: This conditioner was thick and rich and made my hair so silky soft. It provided the perfect slip for detangling and restored the moisture that a day in the sun and pool had sapped. It has a very gentle scent, sort of like chamomile or green tea. 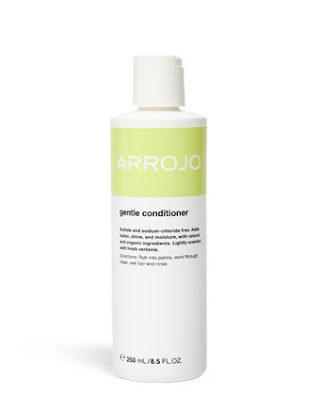 I love that it is sulfate free and I will definitely be using this light and gentle conditioner through out the summer. (I think I may just throw it in my bag to carry to the pool and use as protection for my hair through the day!) I love that it is organic and safe to use on my girls too!